The year was 1901. A new form of transportation was America’s newest obsession…the bicycle. The one-man, pedal-powered bikes were all the rage. Turn-of-the-century Americans loved the freedom and easy of transportation that the bicycle afforded them. Everyone was hooked on bikes. Except for 21-year old William S. Harley and his 20-year old childhood buddy, Arthur Davidson. They found the hard work of pedaling a bike to be…well, hard work. Wouldn’t it be nice, they dreamed, if a motorized bike did all the pedaling for you? Harley and Davidson’s desire to take the pedal out of pedal-powered bikes ended with one of the greatest American icons, the Harley-Davidson motorcycle. Harley and Davidson were convinced that their idea for a motorized bicycle was a viable one. If they could take the leg work out of riding a bike, folks could travel greater distances. In 1901, they set out to build a motorcycle, but there was just one problem. Neither one of them knew how. They conned Arthur Davidson’s older brother, Walter, to return home to Milwaukee from his job as a railroad machinist in Kansas with the promise that he could be the first to ride their new motorcycle. Walter Davidson was a bit surprised and angry to find, when he arrived home, that the motorcycle had not yet been built and that the Arthur Davidson and his friend, William Harley, expected him to build it. They had left that detail out of their letter to him. The older Davidson brother quickly got over his tiff and helped his little brother and his friend set up shop in an old backyard shed. 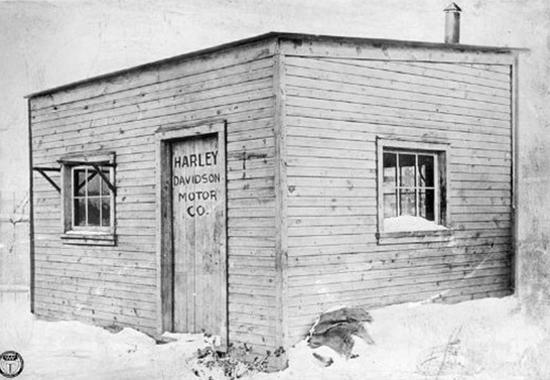 The first thing the overly-ambitious young men did was to paint a sign on the front door of the shed that read “The Harley-Davidson Motor Company.” After much debate, it was decided that William Harley would be named first because he was the first to suggest building a motorized bicycle. A third Davidson brother, William Davidson, joined the others. 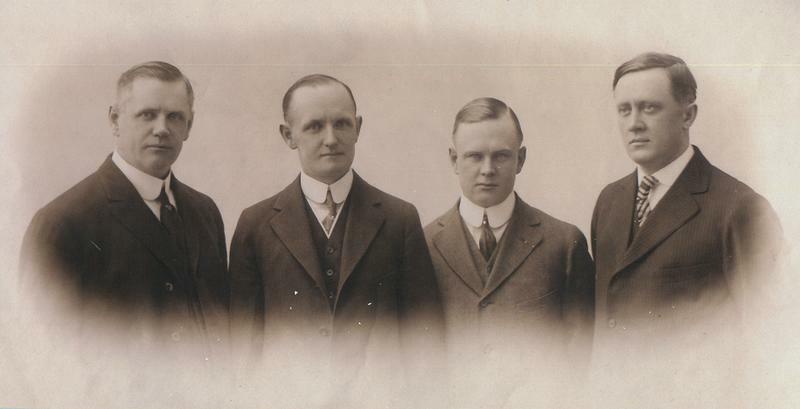 The four young men crowded into the 10-foot by 15-foot shed and got down to business. 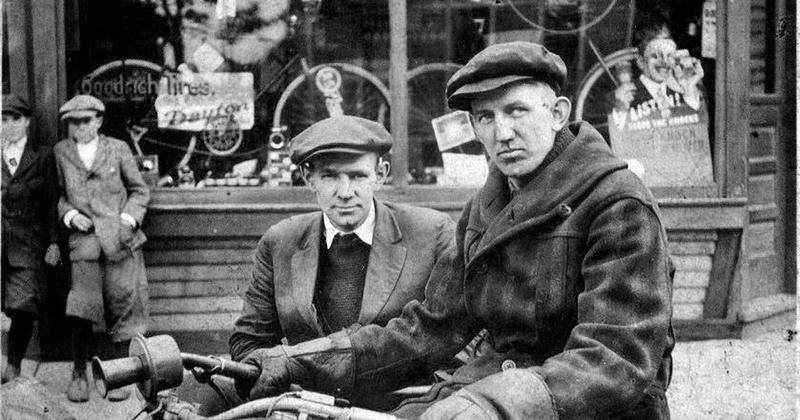 They built the first three Harley-Davidson motorcycles in 1903 by using a bicycle crank and a single cylinder engine. The motorized bike had pedals and a leather drive belt. To get it going, the rider had to first pedal it to build up the compression in the engine. But the bike did what they envisioned. It operated without pedaling. There was still plenty of room for improvements. 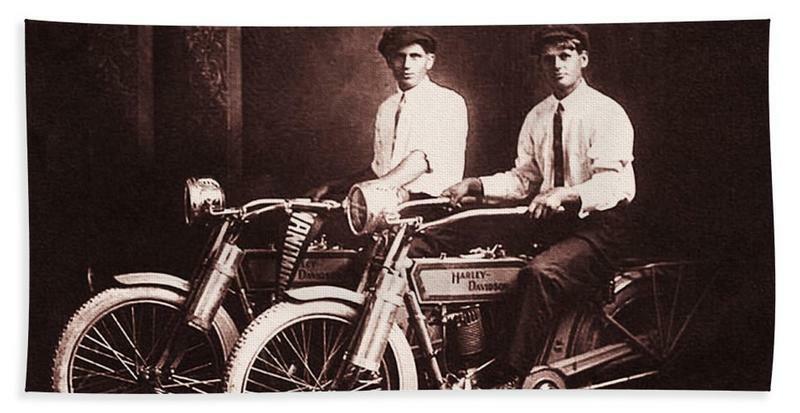 In their first two years in business, Harley and the Davidson brothers made a total of six motorcycles. By 1905, they were making seven per year, but demand was increasing. They built a larger factory in Milwaukee in 1906 which allowed them to build fifty motorcycles in 1907. 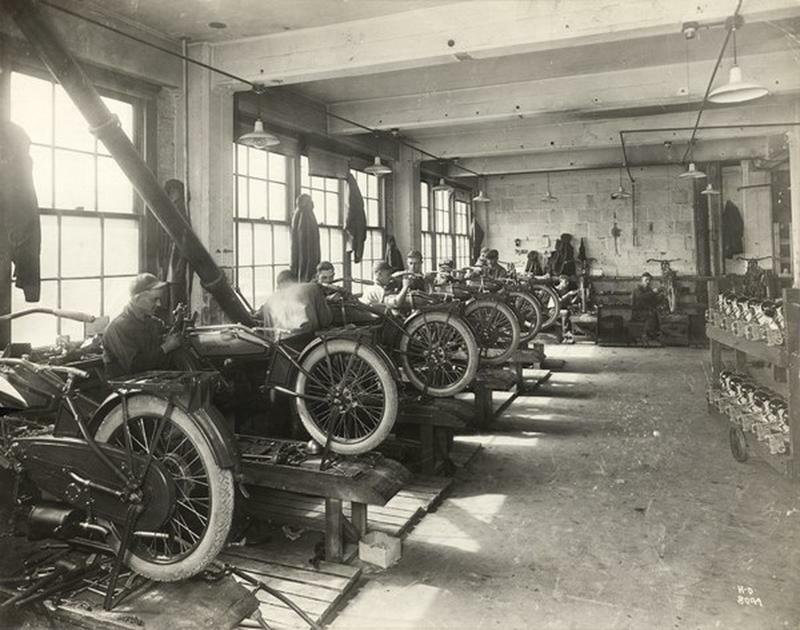 In two year’s time, they increased production to a thousand motorcycles per year and had 35 employees on the payroll. William Harley was proud of the work they were doing but eager to see motorcycles with more power and speed. He started work on a two-cylinder engine, or V-Twin engine, as he called it. This engine allowed the motorcycles to reach the unheard-of speed of 60 miles per hour. Sales skyrocketed. More innovations followed, like a chain drive to replace the leather drive belt and a step-starter to replace the pedal starter. 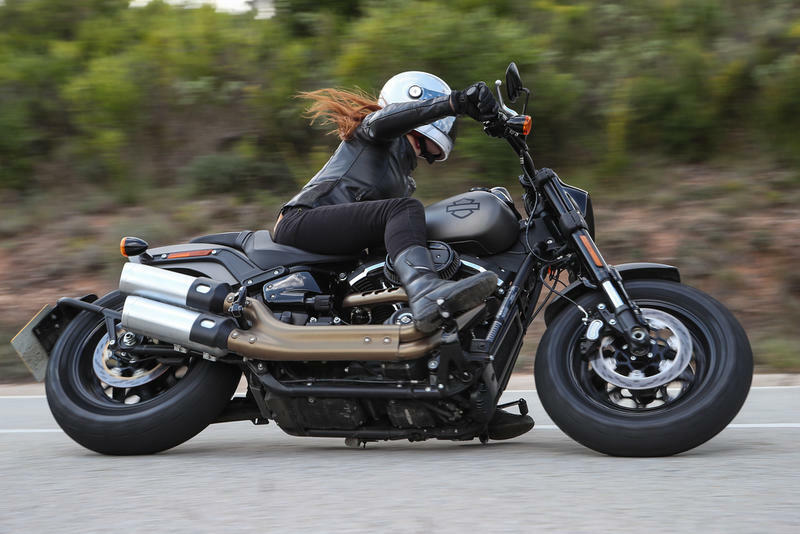 The Harley-Davidson was becoming less like a bicycle with each innovation. Arthur Davidson had an audacious idea to reach an untapped market with their fast, reliable motorcycles—the United Stated government. In the early decades of the 20th century, mail carriers, police officers, and military personnel all used pedal-powered bicycles as a quick and agile form of transportation. Davidson was convinced that local and federal government agencies would benefit from replacing bicycles with motorcycles and he set about making sales contacts in these departments. It paid off. Soon there were nearly five thousand Harley-Davidson motorcycles being used for mail delivery and many more used by the police and military. 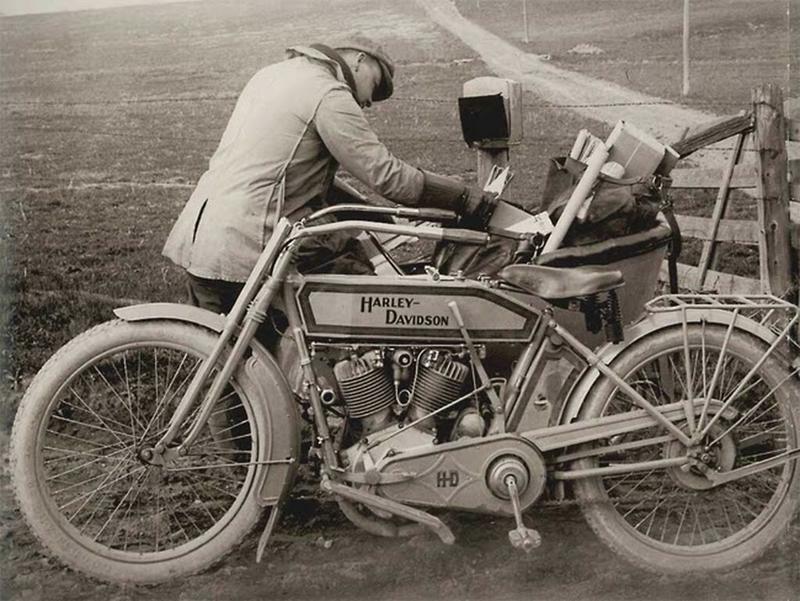 By the 1930s and 1940s, Walter Davidson realized that much of the appeal of the motorcycle was the look and feel of it. Riding a motorcycle called to mind the rugged, hearty, American maverick, something akin to a cowboy in the old west. To capitalize on the burgeoning Harley-Davidson culture, Walter Davidson began selling accessory items to help perpetuate the motorcycle look…clothing, boots, leather chaps, and saddlebags. The American market loved it. 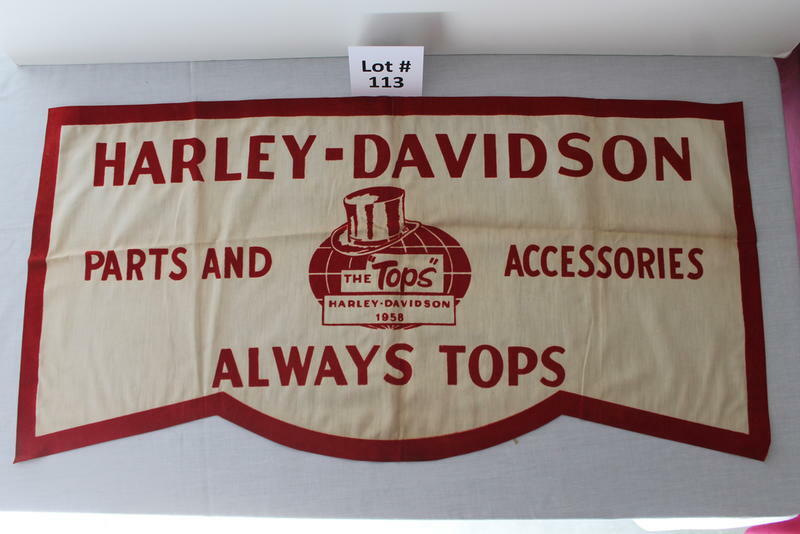 Even today, Harley-Davidson accessories account for a big chunk of sales. In the post-World War II era, the Harley-Davidson motorcycle became a symbol of freedom and the open road. The speed, power, and reliability of the motorcycle meant that Harleys were the gold standard in motorcycles, a reputation they still enjoy today. Harley-Davidson motorcycles were the symbol of the bad-boy rebels of the 1960s, the free-spirited hippies of the 1970s, and the prosperous 1980s yuppy with a need for speed. The all-American motorcycle weathered in an influx of competition from Japan to remain an icon of American ingenuity. All because two young men were too lazy to pedal their own bicycles. 27 Shocking Hygiene Practices From The Past. Whoa!